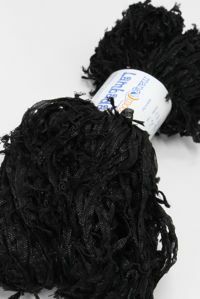 Dark, solid black with nubs, twirls and swirls. 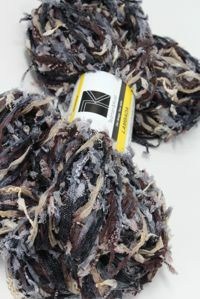 Like funky and fun yarn? 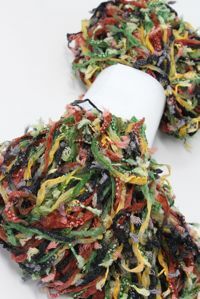 Check out Mango Moons new Silk blend ribbon novelty yarn, a textural, handpainted silk ribbon yarn! 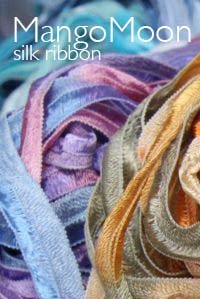 In an ever-increasing world of SAMENESS - Mango Moon strives to source unusual, eclectic and handcrafted yarns. 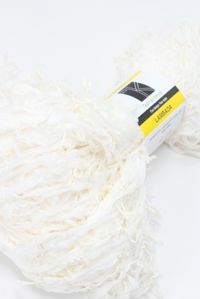 They also work hard to source fair trade and environmentally yarns. They do a great job, and we love stocking their lines, including Be Sweet!